1. Body aches and pains, especially in the neck, shoulder and back. try not to focus on the “why” and just feel, allow..
Separation.” Do not worry, as there is no separation that is valid. Only the “feeling,seeming, illusion” of such. (meditation) and little to no nourishment. well. If so, enjoy, and either way, don’t worry or over-analyze. 8. Physical disorientation. At times you’ll feel very ungrounded. 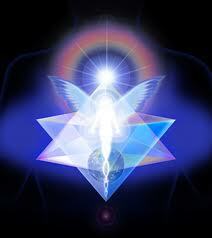 love and energy of your own Christ consciousness. software, or in this case, the new Christ-seed energy. lifetime while still in this physical body. challenges of moving into the New Energy? of the New Divine Human. process of moving into the higher realms. 3. Unusual aches and pains throughout different parts of your body. you are vibrating in a higher dimension. state. You can’t be there for long lengths of time and need a break. This is also the ‘cleansing and releasing’ hour. the Old is forever gone. Being in the Now is the way of the New World. and how you are wired. longer there. You may not know who you are looking at in the mirror. was going through. This only lasted a short time. It passes. your body knows what it is doing. soon arrive and feel so-o-o-o much better. and feel so-o-o-o much better. our outlet for release, and we are releasing a lot. but many of us are staying to experience and create the New World. Also, our old plans for coming have been completed. you have never felt before, as Home is now here. will eventually feel so much love, safety and unity. Just wait. was having nightmares in the daytime. than you do. It is breaking your ‘rut’ choices and vibration. journey, and your soul would not have set it up if you weren’t ready. will have gratitude for the experience and be a different person. into useable Light encodements for the DNA. in the geometries of the emotional, mental and spiritual bodies. Change is rapid and many feel tired. and hearing are being realigned to function differently. emotional body and learning to control it. – we draw to us others for mutual support and stimulation of growth. etc. seem normal and natural to us. are realigned through the heart and when aligned, fear drops away. may then want to ‘save the planet’ and have everyone follow their joy. ALL are stages of progression and reflect our changing perception. pain, or ask them to release endorphin’s – the brains natural opiate. to be hooked into the languages of Light. and to be healthily sustained by the etheric. they seem unreal and are easily put aside. Earth, maybe even before the final push. Just have Faith: I AM. and you become totally connected to your I AM. is no longer 2 strand but 12 strand; teleportation, manifestation etc. World – the ‘Golden Age’. Spirit and all have aligned their will to the Divine. are, your passion or your mission, which are basically the same. You have evolved out of the Old way of being of drama and emotions. 8) You KNOW that all your needs are met, and always will be. 10) You can no longer relate to mental and analytical processes. You now relate to “feeling”. 12) You understand that there is no right or wrong, good or bad, black or white. the same direction, supporting the Light. of a long-standing physical ailment. simple processes, simple desires and a very simple lifestyle. your Divine expression. This is your contribution to the New World. others, as you are becoming empathetic/telepathic. Intentions for the Highest Good of All. 24) You have a heightened love and compassion for all living things. naturally unfold day-by-day and moment-by-moment. All stress is gone. to play, play and play! connected. You understand that there are no mistakes. What better, faster way to transmute all our lower frequencies and unresolved, polarized, suppressed, ignored, wounded, fearful, traumatized, unprocessed and unloved parts than the intense Alchemical firestorm that Kundalini rising is? Why would mass numbers of people around the world all be having spontaneous, unsolicited Kundalini rising now? Because of the planetary and species Ascension Process. Why is the Ascension Process happening now in our lifetimes? Because the cycle is completing and it’s time to break free and evolve out from under the multidimensional negativity and suppression. To help humanity with this rapid and compressed evolutionary process, higher dimensional Light energies are repeatedly released in Waves of Light (think Aquarian energy waves ) from the cosmos, the Milky Way Galactic Center, and our Sun (via solar flares, CME’s etc.) to trigger humanity and Earth to integrate polarities, purge, transmute, and transform energetically. In other words, to evolve/ascend to a higher level of consciousness and being. sudden eating/food changes, craving more protein foods, needing very light foods, small amounts, eating at different times etc. repeatedly coming awake at specific times of the night–3:00, 3:33, 4:44, 5:55 AM etc. Hmm it looks like your blog ate my first comment (it was super long) so I guess I’ll just sum it up what I submitted and say, I’m thoroughly enjoying your blog. I too am an aspiring blog blogger but I’m still new to the whole thing. Do you have any points for rookie blog writers? I’d definitely appreciate it. Sorry if your 1st comment was lost but we were switching the site over & locking it down for security reasons. There are many blog trainings available online including ‘Blog Secrets’, which may have an updated version out by now. Also as a tip…NEVER allow your blog to be used for spam or advertizing by others in the comment section. We will more than likely be limiting any future comments on this blog…again for security reasons. To many hackers & people with malicious actions have caused this to be the norm for alternative sites. It’s the Internet Explorer that is the problem. Old browser that just doesn’t work well with the modern internet. Try using Mozilla Firefox. I am having alot of these symptons what do I do what does this mean? This is part of the process we as BEings on this planet are going through. Drink loads water and rest when your body needs it. Try to eat healthier…giving your body what it needs. Meditate daily & ask your guides & angels for guidance & to help you through the process. Not much else you can do, as it is part of the evolutionary process. I am feeling all of this at the moment and have been for awhile. I feel myself vibrating and I am feeling pleasurable from all of this while crying and feeling new at the same time. Is all of this even real or just within the mind? It is insane that I have been feeling this way, even more so throughout this year….lots of stomach problems, nothing I eat satisfies me, and I hear buzzing very early in the morning, but it stops as soon as I stand up….I am able to predict things and empathize with people well more now, and I have been noticing just alllllll these changes in me…the inside of my head is like a radio station…I feel so out of place, in the friendships I hold and the people I interact with…how can I connect with other people that are like me? I feel so lonely, and yet part of me keeps feeling that there is something much bigger, I feel like I’m being prepared for something but I don’t know what. Please help me. There are other websites & Facebook groups loaded with ‘Awakened or Awakening’ people. Start with FB & start looking at people’s posts…you will find people that are like you!! Thank you so much for your post. I’ve gone through a lot of these symptoms, but what prompted me to search was my intense inner body vibrations. I already work with Kundalini energy, as a Reiki Master/Teacher, but THIS, as I now see, is a WHOLE other level. Your post brought me peace as well as a direction. THANK YOU! THANK YOU! THANK YOU! This post has definitely gave me insight as I needed. I have been going through this for the past 5 years on and off. This past year or 2 had been very rough going through this process. I’ve put myself in a mental hospital and since have been diagnosed with fibromyalgia. I know I am on the right pathbecause I keep being shown guidance with my guides that come along. I’m struggling with the physical pain from this and the mental confusion, I keep pushing every day but it gets harder on some days then in between I will get that glimpse of the heaven on earth peace that helps reassure me that it’s all part of the process. My question is I know I have something blocking me keeping me in this place I keep trying to surrender to spirit but it just hasn’t seemed to let up , do you have any advice on how to ease the pain and mental confusion of all this? And how to stay grounded and still be a mother through this?